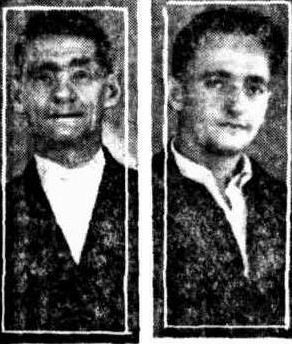 Waterloo Alderman William Joseph Willcocks with his son (Truth 25 April 1937, p.18). William Joseph Willcocks (also spelt Wilcox and Willcocks) was born in Carlton, Victoria, in 1877, son of Frederick Willcocks and Martha Edmonds. He lived at 121 Botany Road, Redfern and died in Prince Henry Hospital on 16 December 1941, aged 63 years. He was buried in the Church of England Section of Rookwood Cemetery. William Joseph Willcocks married Gertrude Josephine Absalom (1880-1959) in Sydney in 1902 and they had 3 sons. Willcocks, a Labor alderman had his grocery shop at 121 Botany Road, Waterloo, picketed by the Baking Trade Employees Union in 1937 for selling bread at a cut price. Mayor Willcocks directed remodelling of the old kindergarten area in 1925 and fitting new swings and the building of a second kindergarten in Waterloo at the end of the park. William Joseph Willcocks was elected an alderman on Waterloo Council in May 1922. He was an alderman on Waterloo Council in 1922-28 and 1938-41 representing West Ward. He was mayor in 1825.